“Rose has the beauty of bucket brigade delay with none of its limitations. It’s the culmination of five years of R&D harkening back to the 1745 DDL, the original Digital Delay Line. Rose is our first stompbox to exploit this new/old way to ‘do’ delay. There is no digital signal processing as such. Just a long, pristine, swept delay. 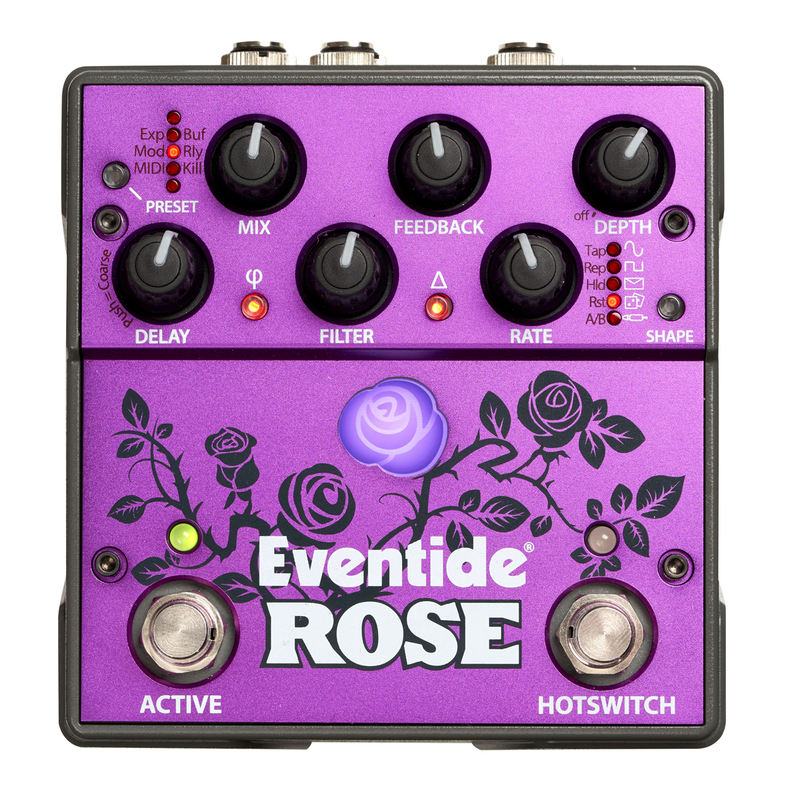 Analog circuitry does the rest.” – Anthony Agnello, Eventide’s Managing Director The Rose sounds inherently different because of its unusual design. The delay is derived from a variable digital clock that can be swept over a range of ~200kHz for maximum fidelity with up to 10 seconds of delay, down to ~8kHz for 50 seconds of delay. All of Rose’s analog circuitry is employed for mixing, filtering and feedback.